Our time is characterized by a penchant for the trivial: on TV, in the newspapers, in politics and education. It seems like culture is on sale everywhere and only spectacle counts. What appears to be a financial crisis is really a moral crisis. 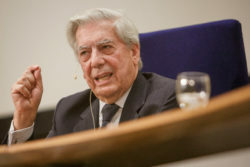 In his 2013 Nexus Lecture, ‘The Future of Humanism’, Mario Vargas Llosa offers a relentless analysis of the flaws of our times, and explores the possibilities of an alternative attitude to life, which holds intellectual ambition, value-consciousness and spiritual autonomy in high regard. 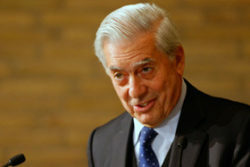 Mario Vargas Llosa (Peru, 1936) is a living legend. As a novelist, journalist, essayist, playwright and politician, he has left his mark on our time and changed the face of Latin America. In 2010, he was awarded the Nobel Prize in Literature.